Klokwerk and VLLA are bringing you one of the hottest labels from Berlin/Hong Kong: Klasse Wrecks during Amsterdam Dance Event 2018. 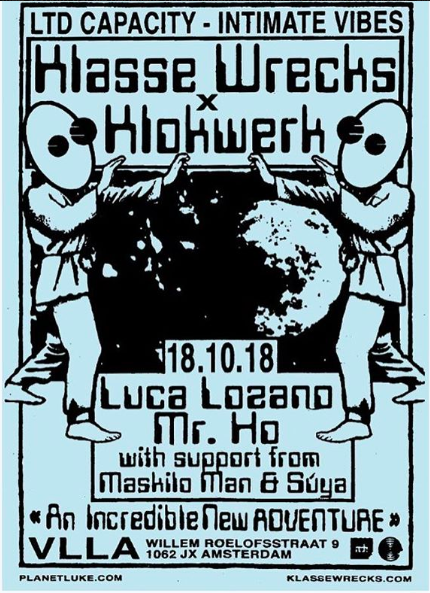 Klokwerk as Klasse Wrecks are both labels which bring boses on the bill: Luca Lozano & Mr. Ho. Supported by Maskilo Man and Súya.